Imagine you could get groceries, medicines and various other necessary products delivered straight to your doorstep. Thanks to Harris Teeter delivery, you no longer have to imagine. Since it established its delivery service, Harris Teeter Supermarkets have been providing a new level of convenience and efficiency to its customers. In order to let you know more about this service, the present guide will go over its most important aspects. 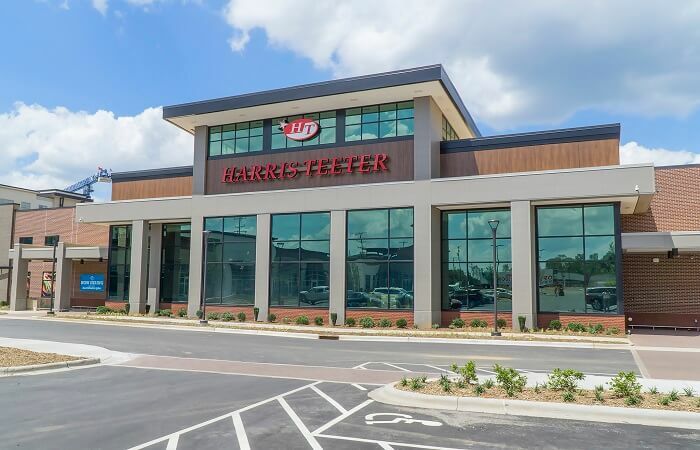 Based in Matthews, North Carolina, Harris Teeter is an American supermarket chain that, throughout its more than 60 years in business, has become very successful. Without a doubt, a great part of this success is due to the company’s willingness to provide customers with the items they need in the most convenient way possible. Thanks to the excellence of its service, Harris Teeter has become a staple in many homes across the United States. The first Harris Teeter store was opened in 1939 by Willis and Paul Teeter. Going by the name Teeter’s Food Mart, this first store was a family-run business that aimed at providing exceptional customer service. Due to this innovative approach, Teeter’s Food Mart quickly became a financial and branding success. As a result, its owners decided to expand the business by opening new stores. Soon after, they partnered with W. T. Harris, a decision that resulted in the rebranding of the company to Harris Teeter Supermarkets. In 2013, Harris Teeter was acquired by The Kroger Company. Today, Harris Teeter operates 245 stores in the following states: Carolina, North Carolina, Georgia, South Virginia, Delaware, Florida, Maryland and the District of Columbia. Apart from its financial success, the brand has become a cultural hit, becoming one of the most ubiquitous and popular businesses of its kind in the United States. In 2012, Supermarket News ranked Harris Teeter No. 34 in its popular Top 75 Retailers and Wholesalers list. In order to make itself even more convenient for customers, Harris Teeter has established a delivery service that is both practical and efficient. At this point, it’s important to clarify that Harris Teeter does not conduct its own deliveries. However, its delivery services are made possible through partnerships with specialized delivery companies such as Shipt and Instacart. After browsing through and selecting their desired products in the company’s website, customers may enter their address in order to get their items delivered directly to their doorstep. Even though it’s carried out by third-party delivery companies, this delivery service is overlooked and guaranteed by professional Harris Teeter employees. Because it depends on third-party companies to carry out its deliveries, Harris Teeter does not have a set policy regarding delivery times. Moreover, to know what these times would be in your particular case, contact your local Harris Teeter location. Likewise, Harris Teeter does not have a fix delivery fee. The amount of this fee may vary according to various factors, including the size of the order and the distance of the delivery. To reward its loyal clientele, Harris Teeter has set up a coupons system that allows customers to obtain discounts and access to various convenient promotions. Consequently, to get these advantages, sign up for Harris Teeter’s eVIC Coupon program. After going through all the most important aspects of Harris Teeter delivery, it is clear why this service has been gaining so much popularity. But have you tried this delivery service? If so, let us know in the comments! Hey Buddy!, I found this information for you: "Harris Teeter Delivery 101: Areas, Hours, Fees". Here is the website link: https://all2door.com/harris-teeter-delivery/. Thank you.